So, I was finally updating my Book List for 2016 when I happened to click on my list for 2015 (I wanted to see if I made a note or anything at the end of the year) and guess what? It was blank. BLANK! The same with 2014! WHAT THE HECK?!?!?! A couple weeks ago, I was trying to work on updating my blog, since I’ve been pretty bad about that lately, and I was trying to figure out how to properly get the Book Lists tab in he right order. I did manage to finally figure it out, but it looks like in my attempts in doing so, I deleted those 2 lists. I am so bummed. DANG IT! So, I’m thinking of deleting those 2 threads since I have no way of knowing what and when I read in those 2 years. But, I am afraid in trying to figure that out that I may end up damaging the 2016 list, so, I will likely just leave them blank for now. That was the only thing I managed to get updated (even though it looks like I royally messed up though) because the sidebar has changed. I wanted to take off my countdown widget and change the header pic but haven;’t a clue in how to do that now. So, for now, this page will look very un-updated, except for the new posts I do. In which, I promise to be more active. I need to clean this blog up a bit. And I’m not sure what to blog about. I had such high hopes for last year, and I managed for a little bit, and then it all went downhill (my work life changed drastically for the year last year and the summer months were very harsh – so THAT all didn’t help). But DANG IT, I am so sad those 2 Book Lists are now gone. I recently finished reading Salem’s Cipher and it was SOOOO good. And I’m not just saying that because Jess Lourey is one of my favorite authors and everything Jess writes is pretty much gold to me. This one took me awhile to finish, I started in December and just finished last week. Now, that isn’t to say that this book was hard to read or hard to get into, that is simply not the case, I just don’t have as much free time to read as I had couple years back, and I wanted to take my time with this one. This book is such a thrilling game of cat and mouse full of history (think Da Vinci Code or National Treasure) and even some self-discovery and overcoming your fears. 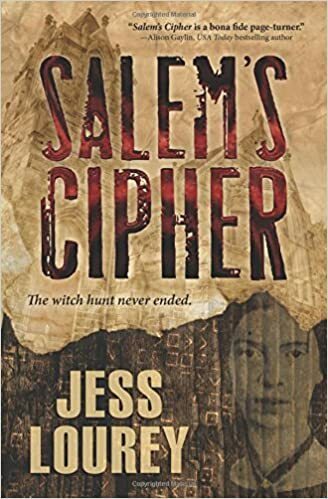 I HIGHLY recommend Salem’s Cipher to anyone who likes mysteries, action-packed thrillers, or just books, period! 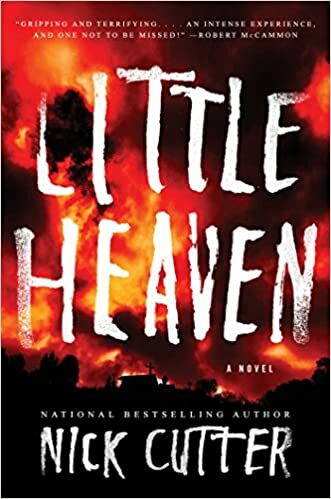 Happy Book Pub Day to Nick Cutter’s Little Heaven!!!! I was first introduced to Nick Cutter back in 2014 with his novel The Troop, which, not only scared, but disgusted the hell out of me. You need to read it. I do have the following novel, The Deep, but haven’t had a chance to dive into it yet! 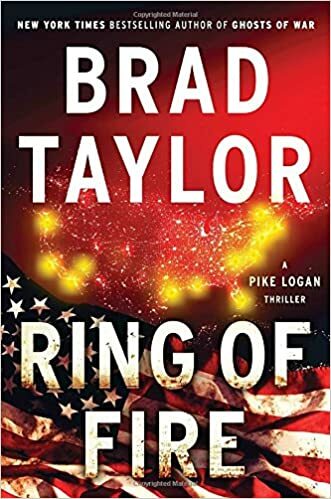 Happy Book Pub Day to Brad Taylor’s Ring of Fire!!! Pike Logan and Jennifer Cahill are back! Fifteen years ago, in order to win a contract in the Kingdom, a desperate defense contractor used a shell company to provide a bribe to a wealthy Saudi businessman. Now a powerful player in the defense industry, he panics when the Panama Papers burst onto the public scene. Providing insight into the illicit deeds of offshore financing, they could prove his undoing. To prevent the exposure of his illegal activities, he sets in motion a plan to interdict the next leak, but he is not the only one worried about spilled secrets. The data theft has left the Taskforce potentially vulnerable, leaving a trail that could compromise the unit. Back in the good graces of the new president, Pike Logan and Jennifer Cahill are ordered to interdict the next leak as well, in order to control the damage. Unbeknownst to either group, the Saudi has been using the shell company to fund terrorists all over the world, and he has a spectacular attack planned, coinciding with the fifteenth anniversary of 9/11. The information Pike and Jennifer uncover will put them on the trail of the imminent threat, but it’s one that they might be unable to stop. Called Ring of Fire, it will cause unimaginable destruction across the United States, and the ensuing chaos and terror will distract the Taskforce from a truth no one sees: Ring of Fire was only the beginning, and the danger is far from over. 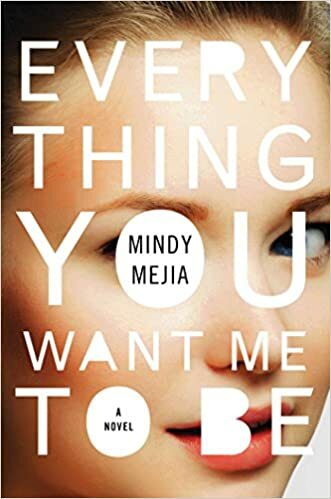 Happy Book Pub Day to Mindy Mejia’s Everything You Want Me To Be!!! I had such a hard time putting this book down because I just wanted … needed to know what happened. I came pretty close in figuring it out, but the conclusion still flipped me through a loop. Another reason I really loved this one, it takes place in Minnesota!! 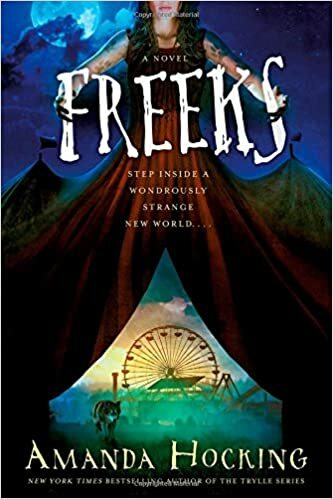 Happy Book Pub Day to Amanda Hocking’s Freeks!!! I’ve been a fan of Amanda Hocking’s for several years now. I discovered her My Blood Approves series, in which she successfully self-published, and feel in love with her work.